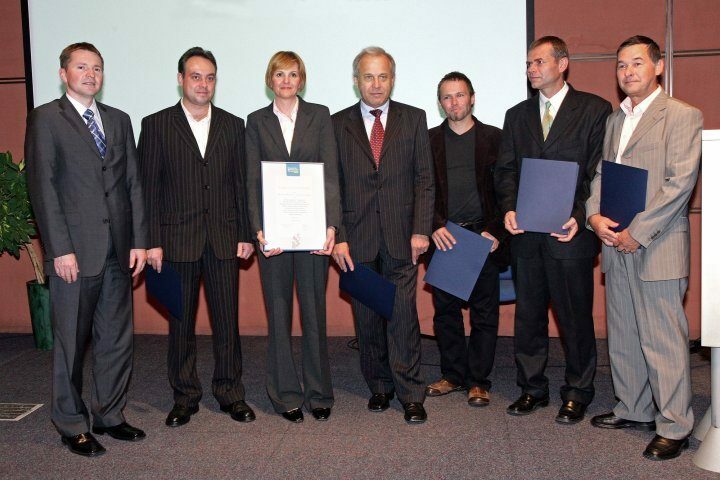 On September 17, 2008 a festive award bestowal for the best innovations 2007 was held in the Chamber of Commerce and Industry of Slovenia. 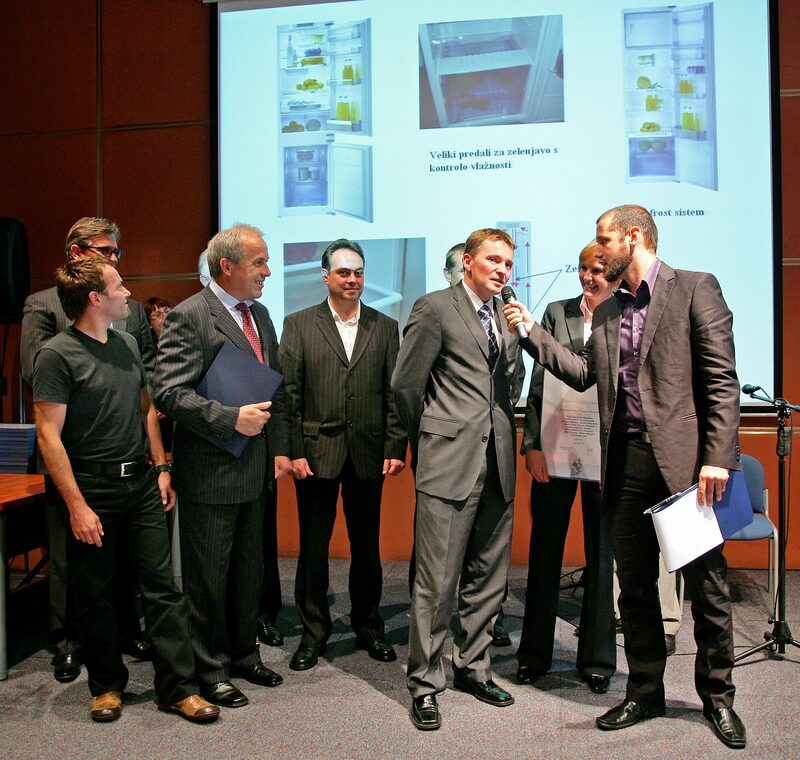 Gorenje's new generation of fridge freezers was awarded with a silver award. The new generation of fridge freezers of the range 540 mm consists of 23 technologically renovated appliance models with new design. All models are model patent protected according to the European criteria. Two new solutions that facilitate the production of appliances and make them more user-friendly outstand: the complex of the appliance shelf and housing and the complex of the appliance drawer and wheel pull-out guides. The author of both innovations is Mr. Peter Groznik, the chief development engineer of the new generation of fridge freezers. Innovative about the shelf and housing complex is that the shelf can be pulled out horizontally up to the specially designed back that blocks further pulling of the shelf. The back also prohibits that the shelf turns over and enables the lifting of the shelf front part. In this way the shelf can be taken out completely from the appliance when it needs cleaning or when one wants to move it on the other level. The innovation of the drawer and wheel pull-out guide complex regards the plastic parts that are screwed on the guides. The plastic parts are equipped with safety catches that hook up when put into a specially designed openings. The innovation enables easy separation of the guides from the drawer when the drawer needs to be taken out for the cleaning. The drawer should be cleaned with water or in the dish washer. Fridge freezers of Gorenje's new generation with the modern and recognizable design of range 540 mm boast besides user-friendly functions numerous other new functions such us: electronic control, fresh Zone, Zero&Fresh zone, NO FROST cooling system and the functions Super Cool and Super Frost. The innovative technical construction solutions enable greater energy efficiency of appliances as all fridge-freezers are ranked in A+ energy class.